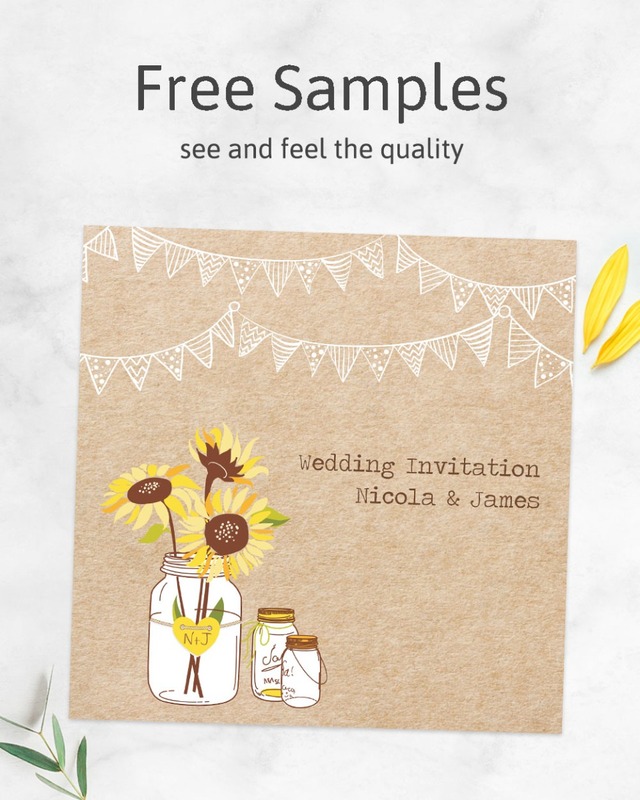 Personalise these rustic thank you cards to thank guests after your wedding day! Just send us your customised wording so we can print it onto your stationery. A ready-to-write version of this bohemian design is also available. The design shows a vintage kraft paper background, whimsical festoon lights, and a cute jar with a floral arrangement of countryside daisies. A love heart decorates the glass.